Cricket is growing in Finland despite its unfamiliar rules and uniforms. Spring brings the start of the outdoor season. This match is taking place in distinguished surroundings on the island fortress of Suomenlinna just outside Helsinki. To provide a better surface for bowling and batting, a nylon mat is laid over the gravel surface. Cricket, for all its strange rules, equipment and uniforms, forms a growing sport in Finland. 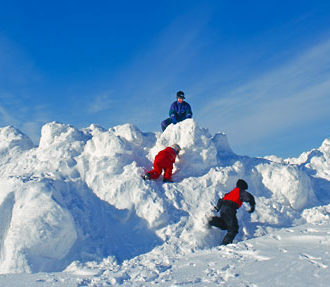 Finnish fans of bat and ball rejoice when the snow melts and the season starts. On a warm summer Saturday afternoon in Kaisaniemi Park, close to Helsinki’s main railway station, a strange and alien activity is in progress. A small baffled crowd of Finns is gathering on the edge of a dry sand pitch occupied by crouching men in white shirts and trousers. Some of these men are wearing huge pads on their legs and carrying long pieces of wood. Others are throwing balls at them in a vicious over-arm motion. The Finnish cricket season is in progress and members of the Helsinki Cricket Club (HCC) are doing what they’ve been waiting all the long, snowy winter to do. HCC, with about 30 active members, is one of 21 clubs across the country listed by the Finnish Cricket Association. “Many of our members at HCC are from or have links with South Asia but there’s an annual turnover with members coming from the UK and Australia each year,” says Zahoor Khan, the Indian secretary of HCC, who has lived in Finland for more than seven years. The rules, tactics and jargon of cricket are notoriously difficult to explain – the HCC describes the game economically as “a sport played with bat and ball, in an open ground, between two teams of 11 players” – but Zahoor says this does not deter Finns from getting into the game. 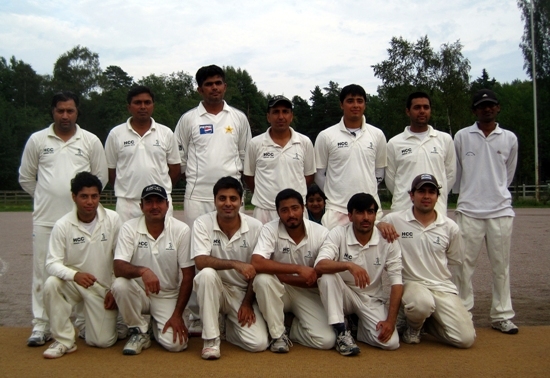 Competitive cricket in Finland is played in three main leagues: the SM50 League (with 50 overs for each team in a game) of which HCC were 2010 champions; the second level SM40 (40 overs); and the T20 “express” version, which has been gaining popularity internationally. The Finnish cricket season runs from May until early September. Cricket freaks who would otherwise be deprived of their bat-and-ball fix during the winter play in an indoor league – HCC are reigning champions of that as well. The indoor season runs from early December until early April. The test-match format, which can run to five days when top international sides are competing, is not played in Finland. Test-match cricket is considered the ultimate version by aficionados, but Zahoor does not envision the Finnish national side reaching such heights in the foreseeable future. Zahoor, like every other cricket fan in Finland, is frustrated at the absence of live cricket coverage on TV channels in Finland – a frustration that reached a peak in the early months of 2011 when the tenth ICC World Cup was played in India, Bangladesh and Sri Lanka. Zahoor watched the progress of his native India to victory in the final on the internet. To the embarrassment of your English correspondent, he also mentions the biggest upset of the tournament, England’s defeat at the hands of Ireland, as an example for Finland to follow. 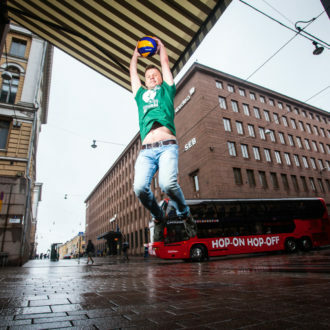 The international Eurogames sports event for sexual minorities is being held for the first time in Finland, giving all kinds of athletes a chance to compete for glory in an open-minded atmosphere.